Are you still at home living with your parents, or maybe you've been living with friends or roommates for a while. Now you're wondering if it's time to move out. Find out with this quiz. There are some clear signs, and some that are more subtle that indicate whether or not it's time for you to move out. That's what these questions are going to ask about. Choose the one that best fits your situation. Moving is a big job, and quite the life change in some instances. Knowing when it's time isn't always so easy to determine. 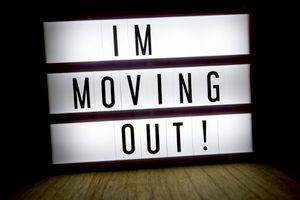 We can help you decide if it's time for you to move out and move on with this quiz.